The Executive Director of Growing Tree Liberia (GTL), a non-governmental organization, Janel Galvanek, says the organization remains supportive of underprivileged children in Liberia. Under its Child Care Program, Growing Tree Liberia (GTL) is paying the tuitions of more than thirty underprivileged children on Clay Street, Central Monrovia. 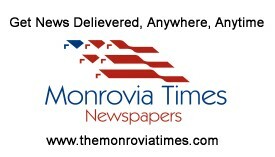 Speaking in a Monrovia Time interview Monday, Madam Galvanek said the focus of the organization is to sustainably maintain the project. Madam Galvanek who is visiting Liberia from Germany said the organization has embarked upon the establishment of its Child Care Center to be built in Sass Town, Bomi County. According to her, the center, when built, will increase the number of children in its programs and cater to their welfare, health and education needs. Growing Tree Liberia, according to her, seeks to alleviate the suffering and hardship many Liberian Children face. To achieve said goal, Janel Galvanek said the organization will partner with government through the Ministry of Gender, Children and Social Protection. Scores of Liberian kids regularly roam the streets of Monrovia and parts of the country, with many without parental guidance. Currently, in Monrovia and other big cities, several kids can be seen at ghettos and other criminal hideouts. This, Growing Tree Liberia wants to help address in the coming days and months.